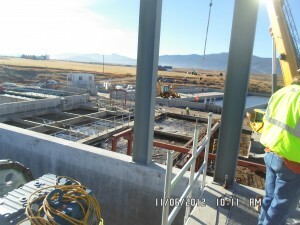 This is a waste water treatment facility that we are upgrading for the City of Soda Springs to meet new EPA requirements. 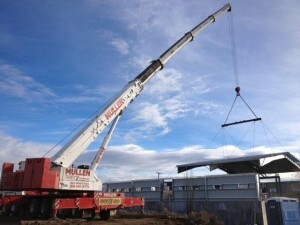 We are adding a new plant to be constructed around an existing plant still in operation. 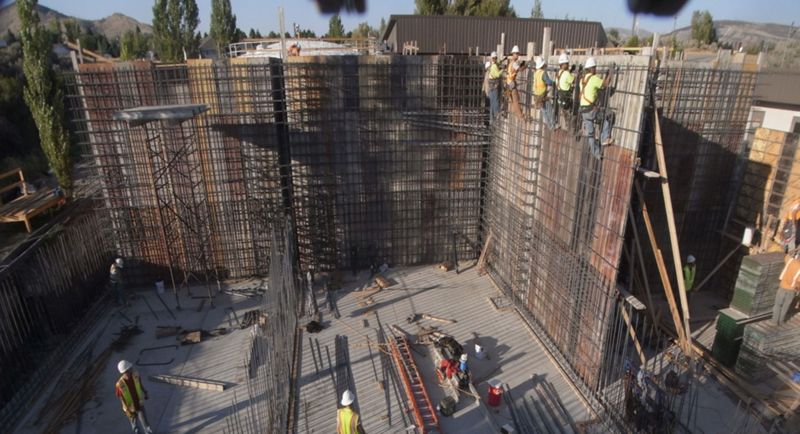 The new building will be 20,000 square feet with 21 foot concrete walls. 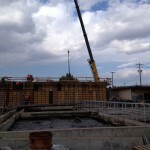 We started with demolition of existing process basins, concrete and asphalt, fencing and landscaping. 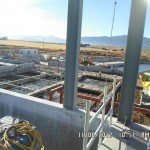 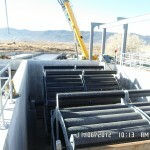 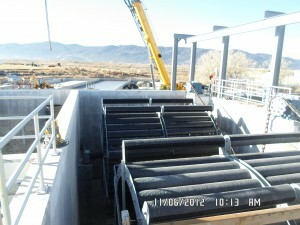 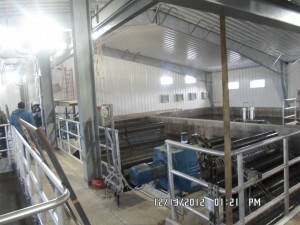 The secondary treatment process included concrete basins, equipment installation and startup, grating and handrails, electrical and instrumentation. 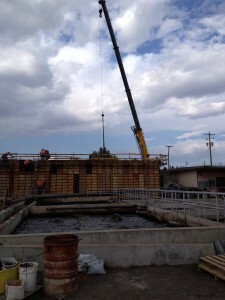 The tertiary treatment process consisted of chemical storage tanks, process pressure and drain piping, a backwash pump station and sludge drying bed pump drain station. 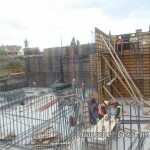 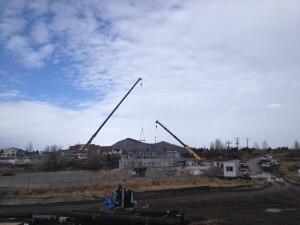 We started the new building from the ground up with concrete footings, stem walls, walls and floors. 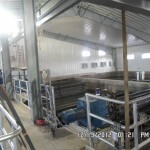 It’s a steel building with roof, monorails, trolleys & hoists, a new HVAC system, drain piping, electrical and lighting. 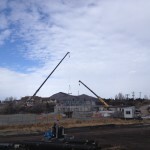 Once the project is finished it will be complete with sidewalks, asphalt, fencing and gates as well as landscaping. 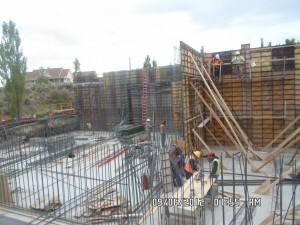 Forsgren & Associates are the engineers on the project, and we’ve been using Associate Brigham Contractors (ABC) for the concrete work.